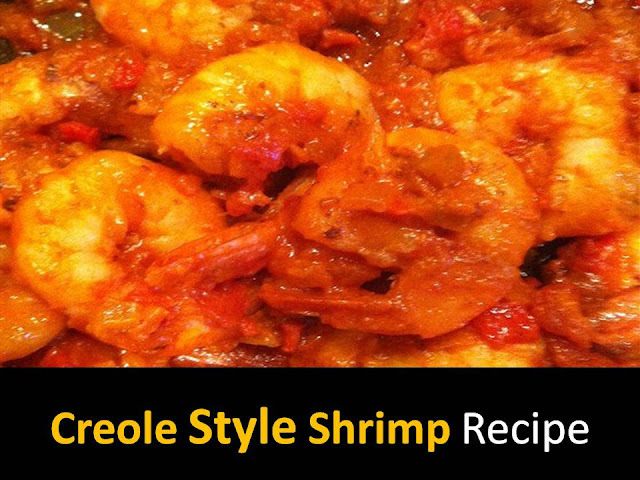 This Shrimp recipe is taken from the cookbook once purchased in New Orleans. Creole cuisine is unusual and intricate perhaps this explains its unpopularity in Russia where the menu of the most visited places is simple and quick to prepare. Creole-style shrimp is probably one of the most classic and delicious dishes of the New Orleans cuisine. The taste of the dish is really unusual. Shrimps acquire a rich creamy taste, which is set off by garlic and spicy sauce and blooms in a tomato and vegetable bouquet. Note - Very tasty Creole shrimp served with rice! Step2 - Add a bay leaf to vegetables for 2–3 minutes, and then remove the leaf. After 4 minutes, add for the color of paprika, sliced ​​tomatoes, and tomato juice, mix thoroughly. Step3 - Add Worcestershire and Tomato Sauce (in a pinch, you can do without tomato).Extinguish until liquid evaporates. And mix water and starch, pour in vegetables, mix. Step5 - Now Fry the shrimp in the remaining butter. And pour the sauce to the shrimp and mix thoroughly.